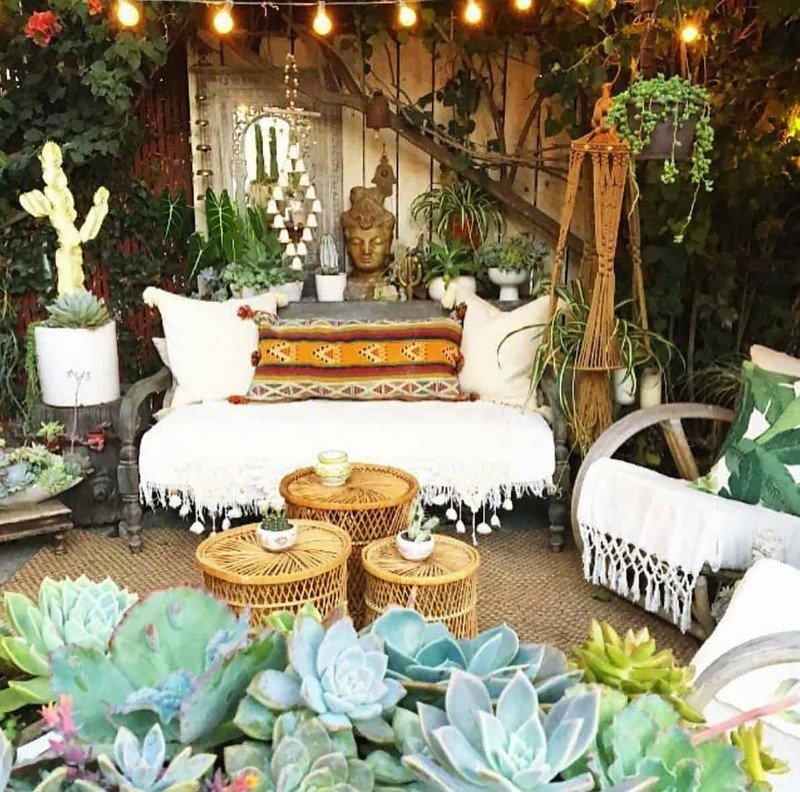 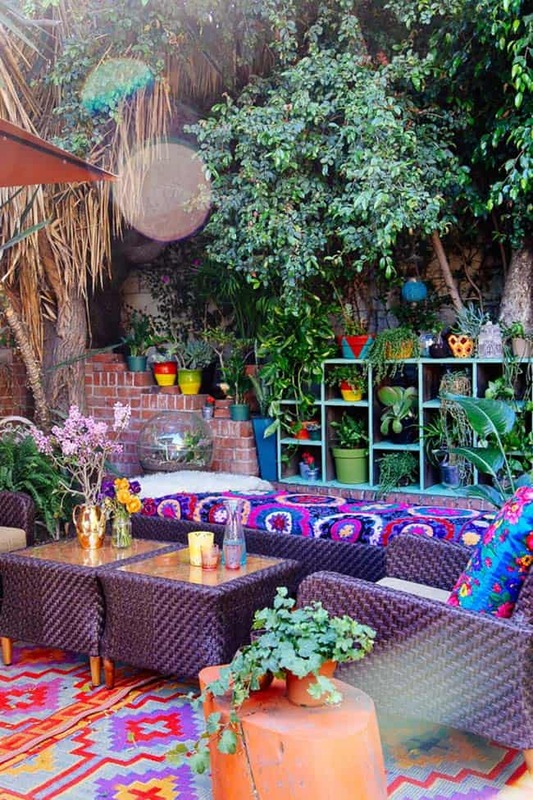 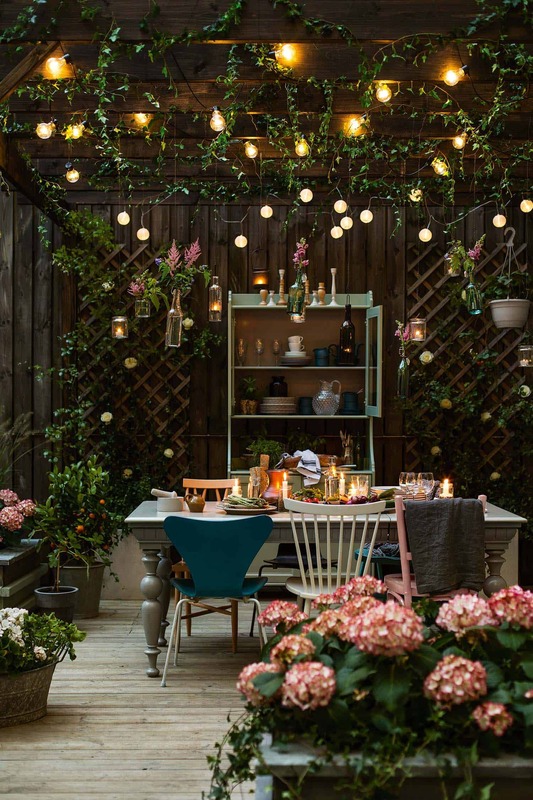 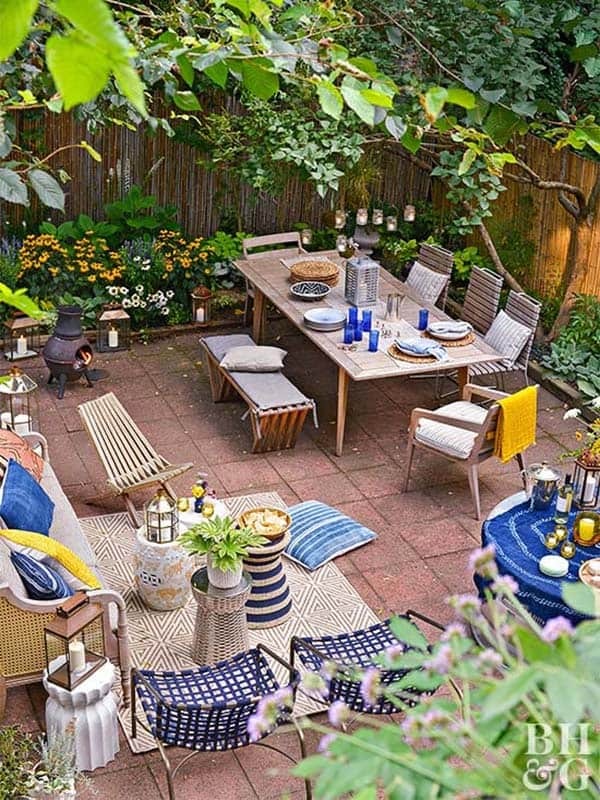 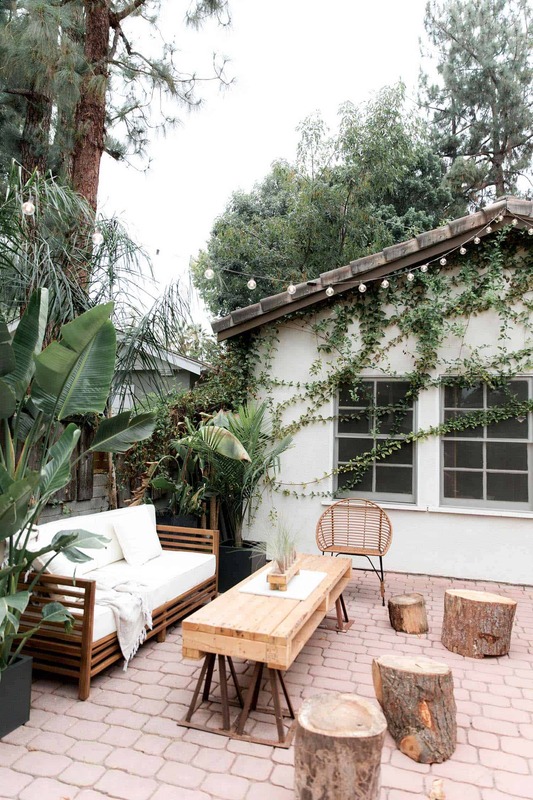 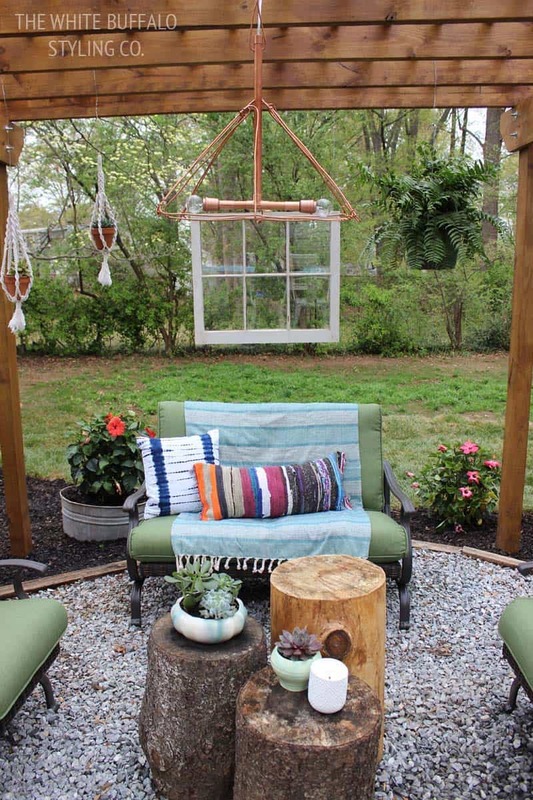 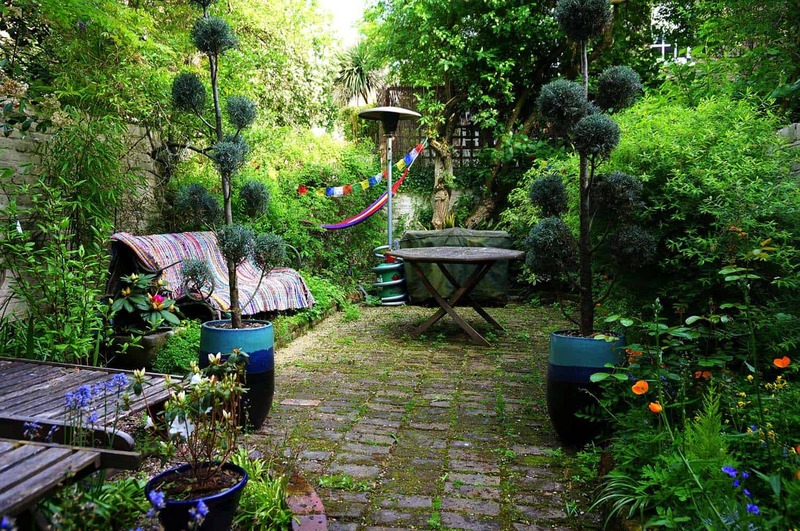 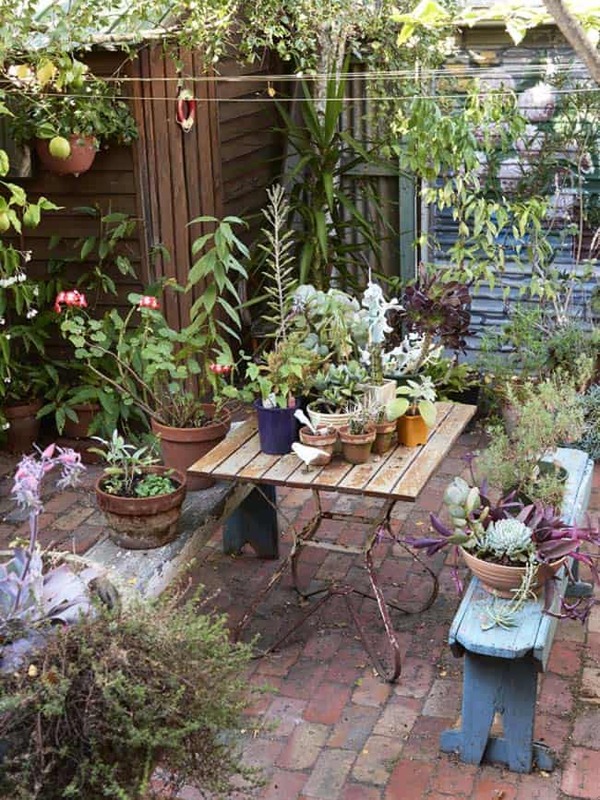 When decorating your outdoor space, a Bohemian garden theme is an increasingly popular look that can give your space some bright and playful aesthetics. 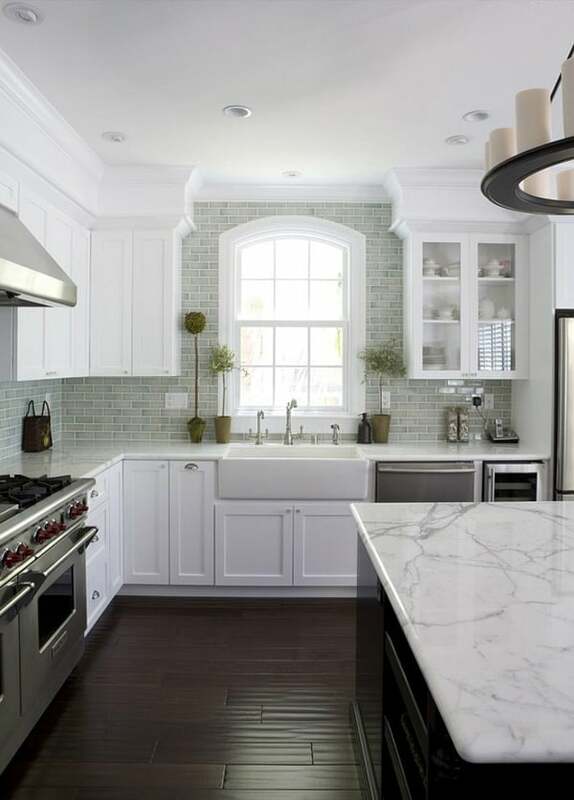 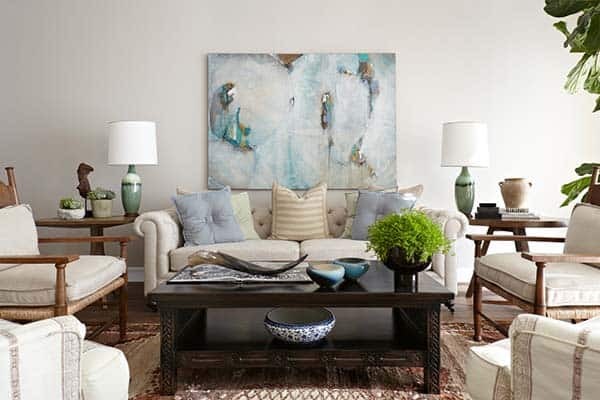 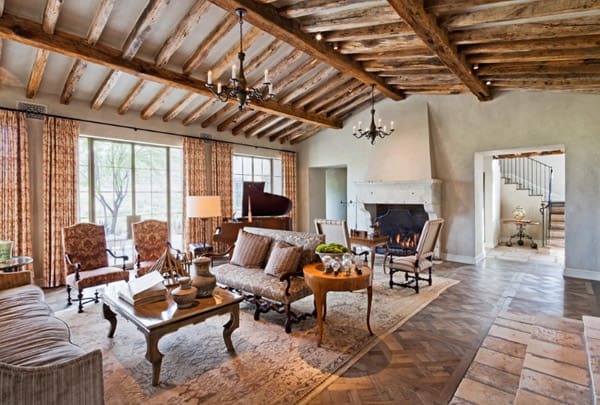 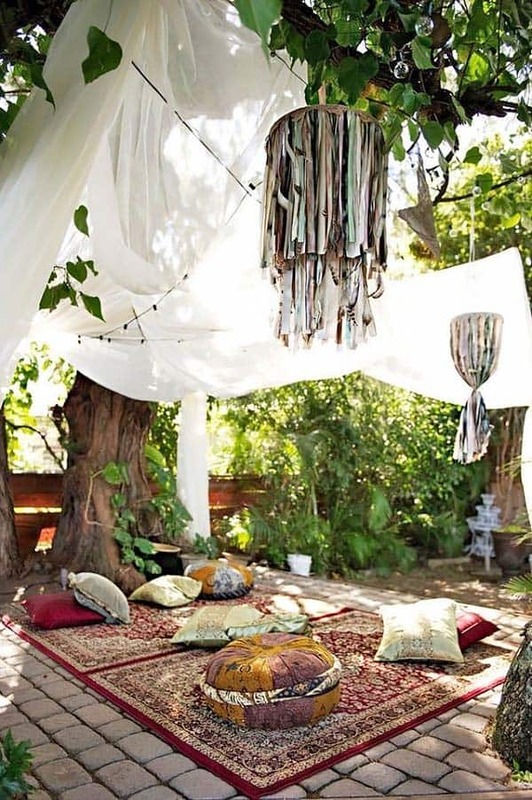 Bohemian decorating is not only beautiful to look at, it offers a whimsical ambiance that can also be quiet comfortable. 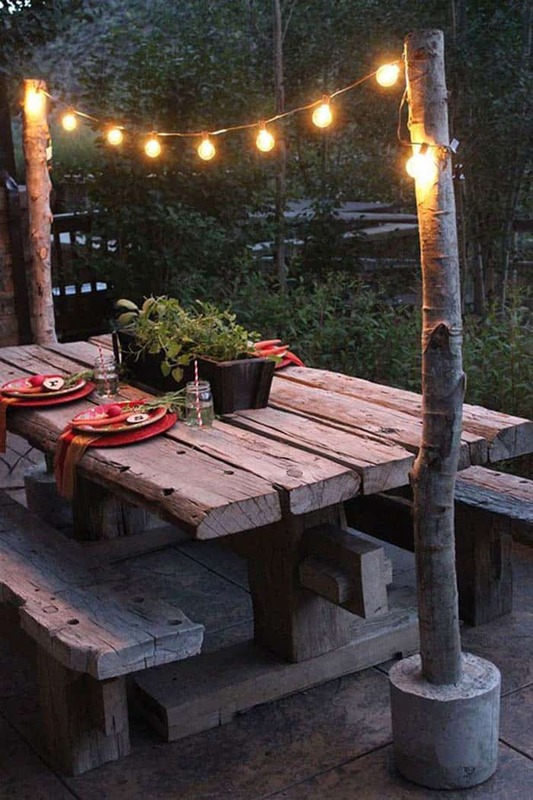 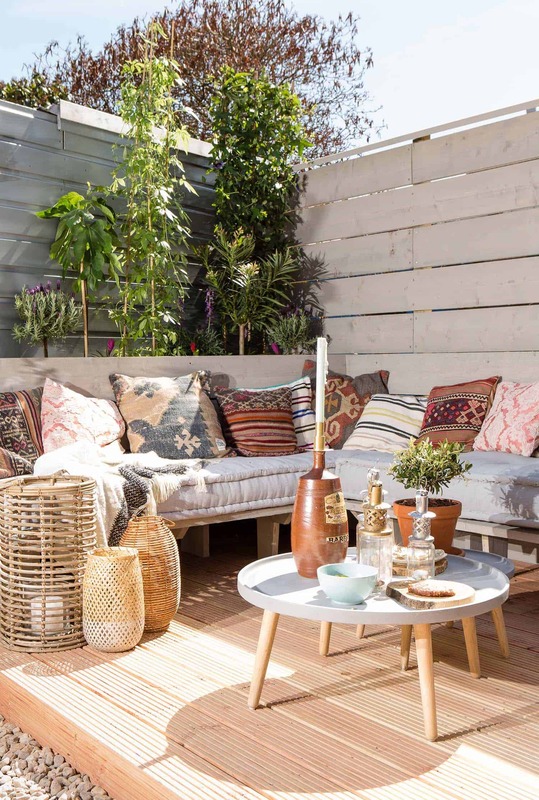 There are plenty of ideas to create this style, such as incorporating salvaged pieces such as dressers, sofas, cupboards and tables and place them in your garden. 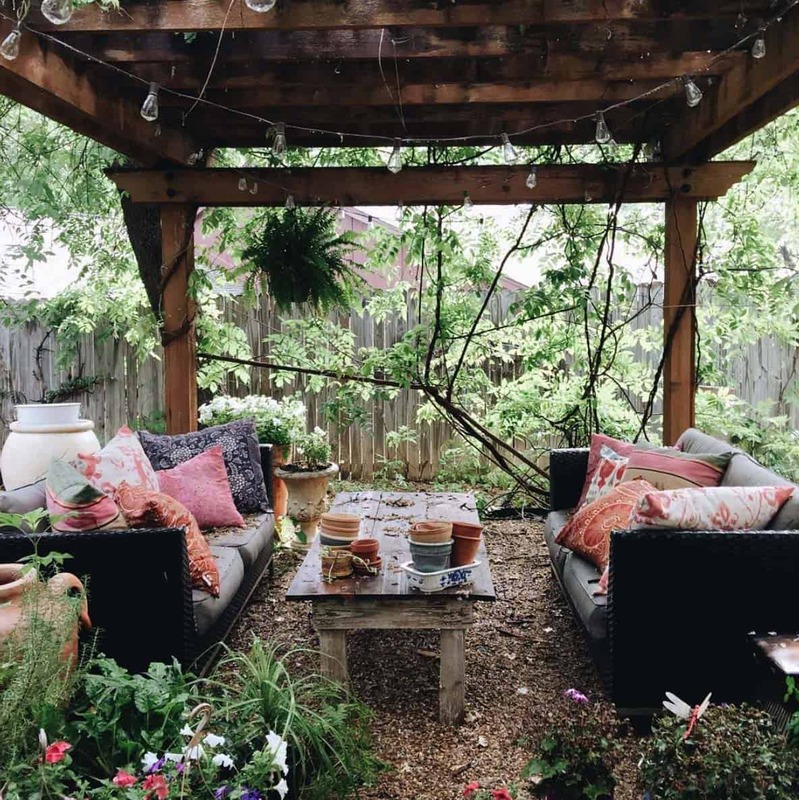 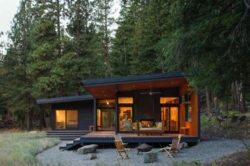 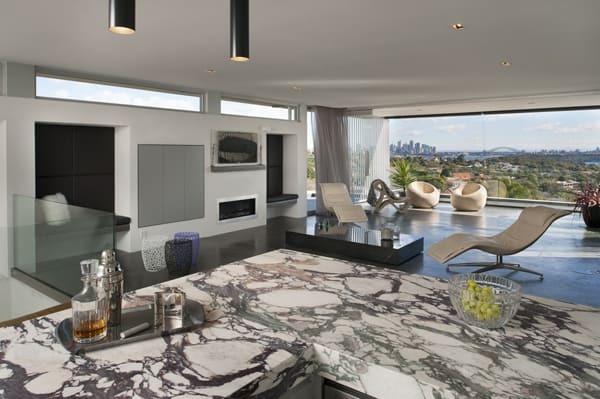 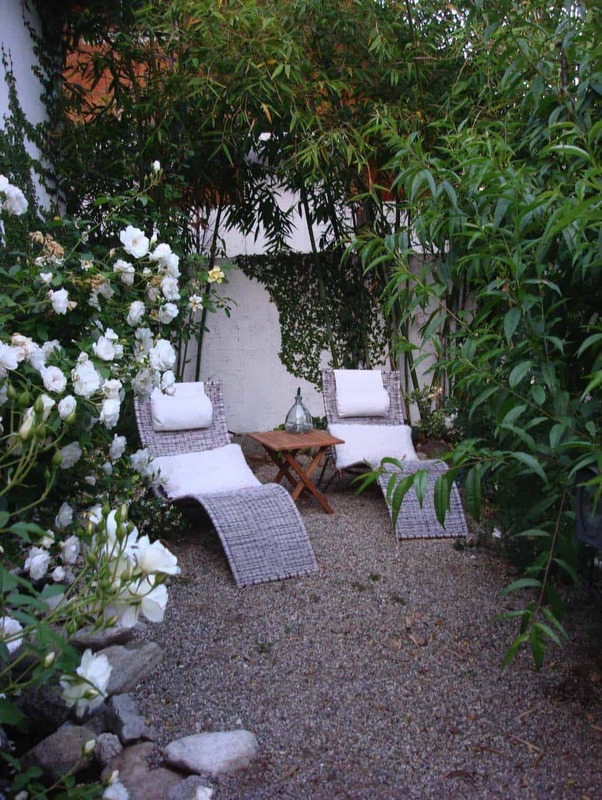 You can surround these furnishings with lush plants and trees, such as roses, hydrangeas, lavender, dahlias, freesia and bamboo. 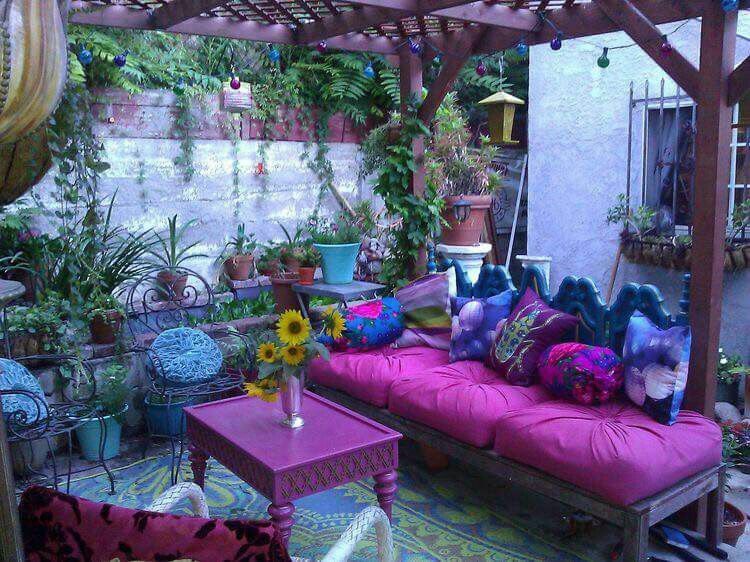 They will help to add vibrance and a freshness to your outdoor space. 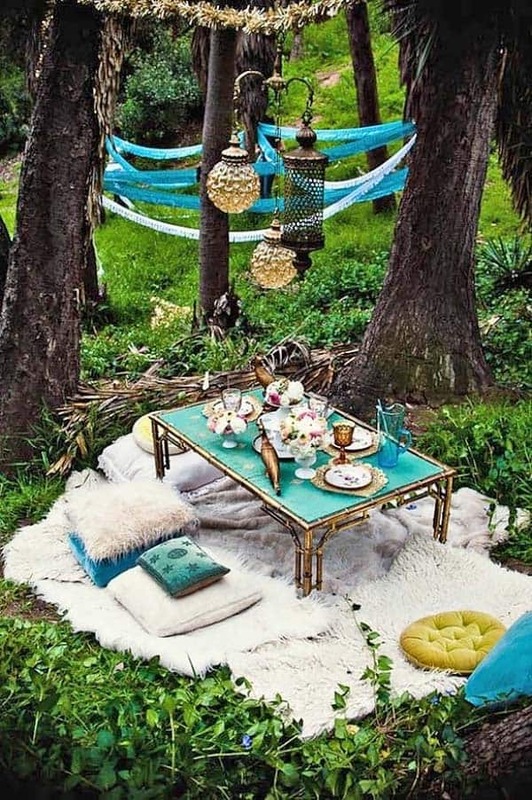 You can also add some vintage items to your outdoor Boho theme. 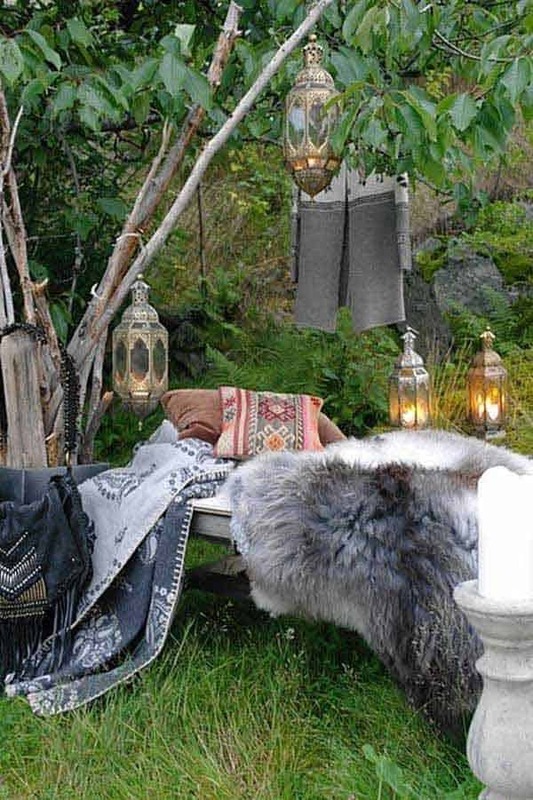 Such items could be an old door, window, lamp, even some dinnerware. 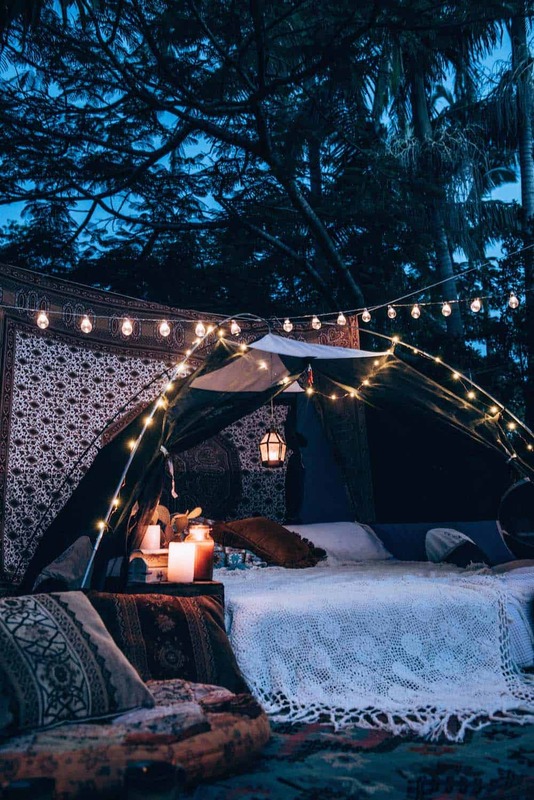 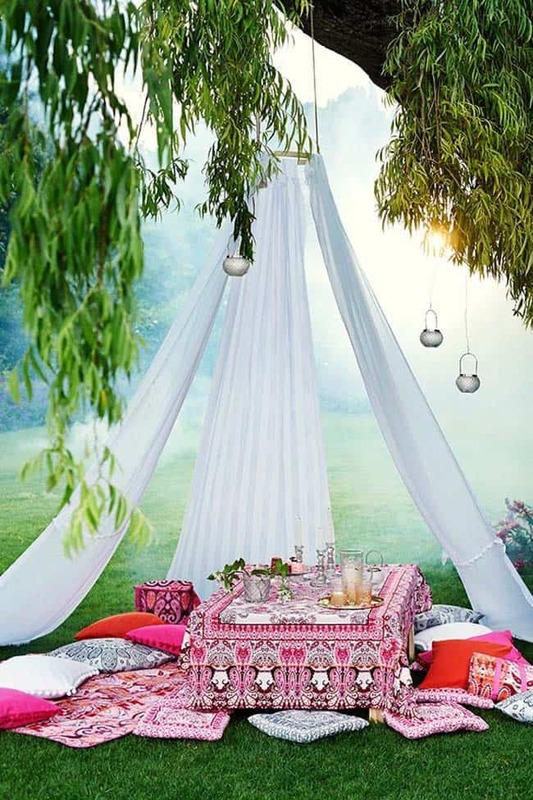 A hammock or a fabric tent might be the perfect addition to your outdoor space. 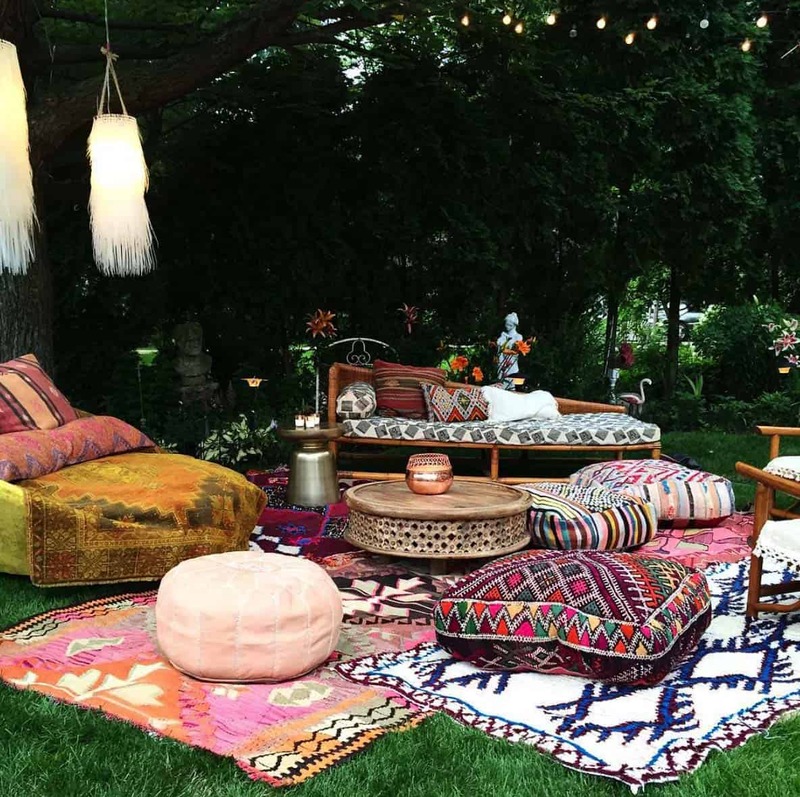 Enjoy entertaining in your Boho style, whether it be with pillows and blankets on the ground or an adorable set of chairs and a table for your garden party. 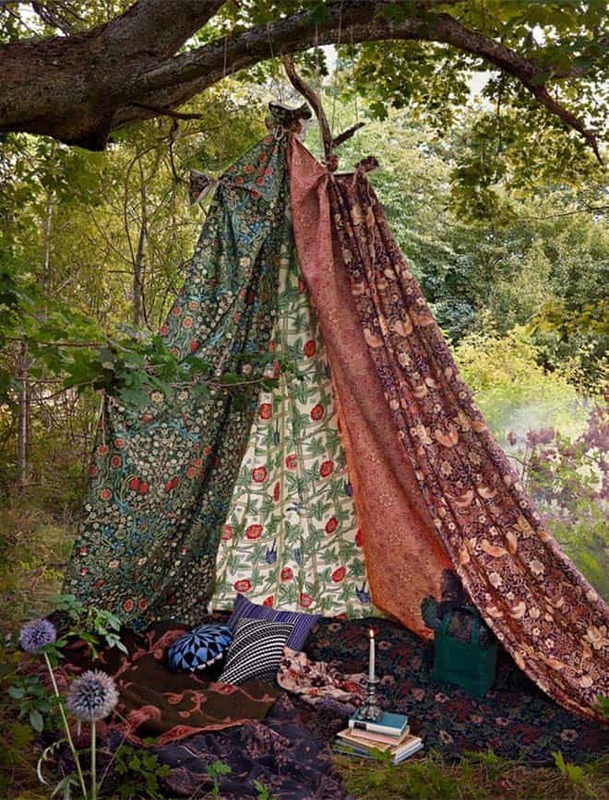 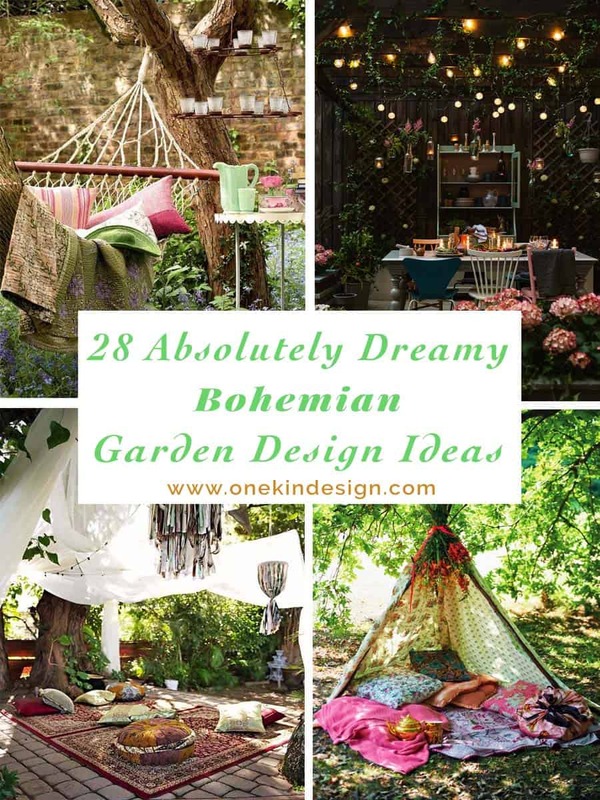 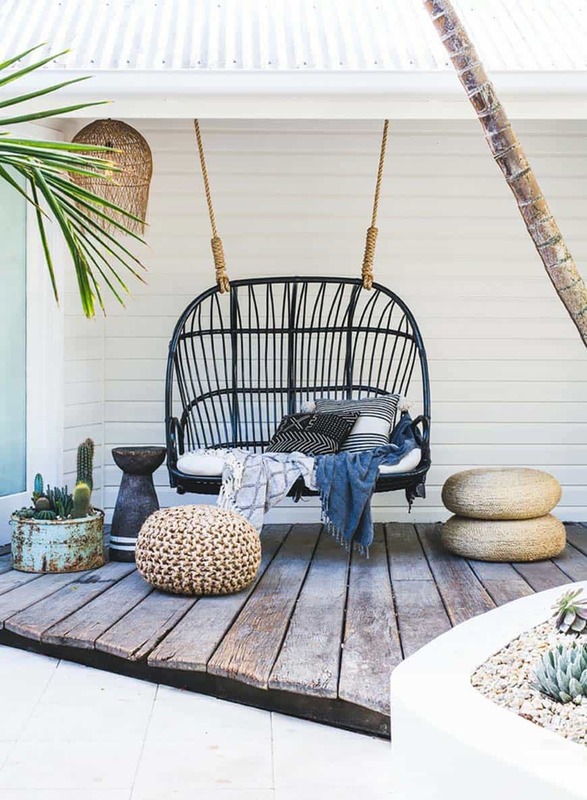 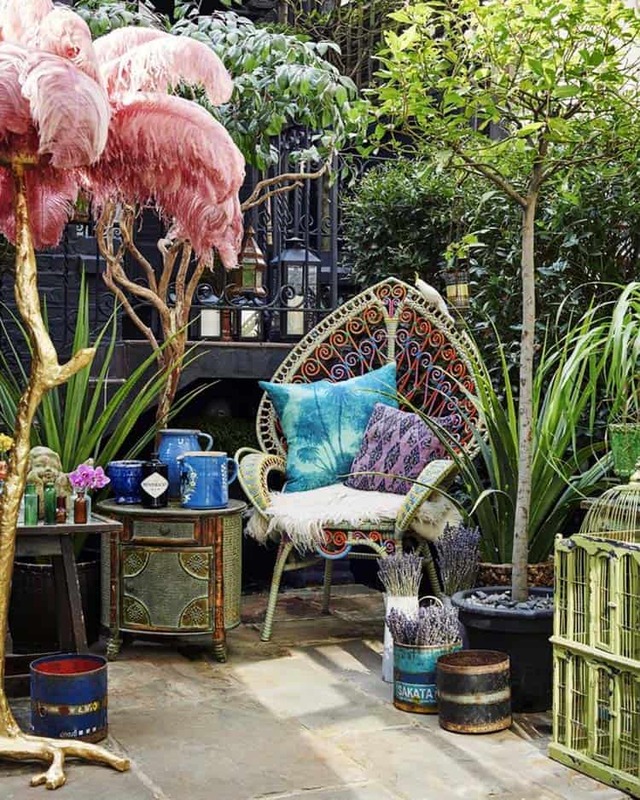 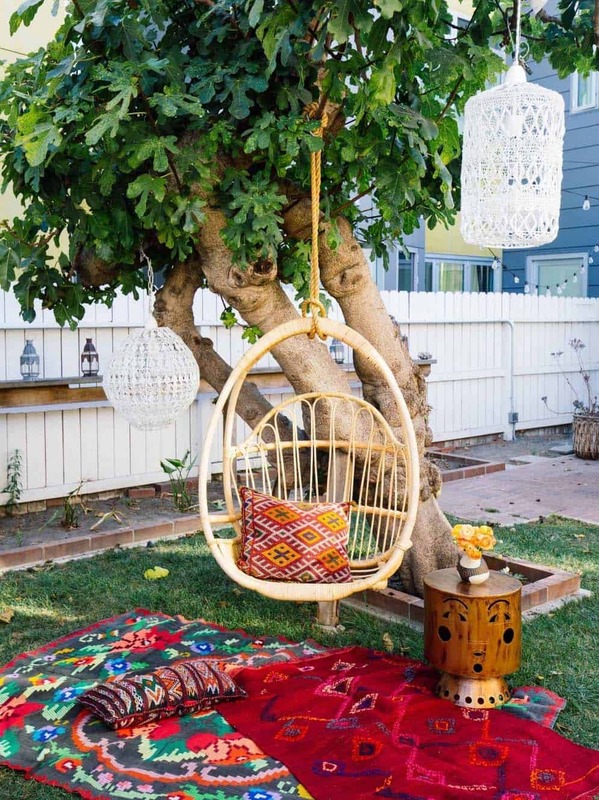 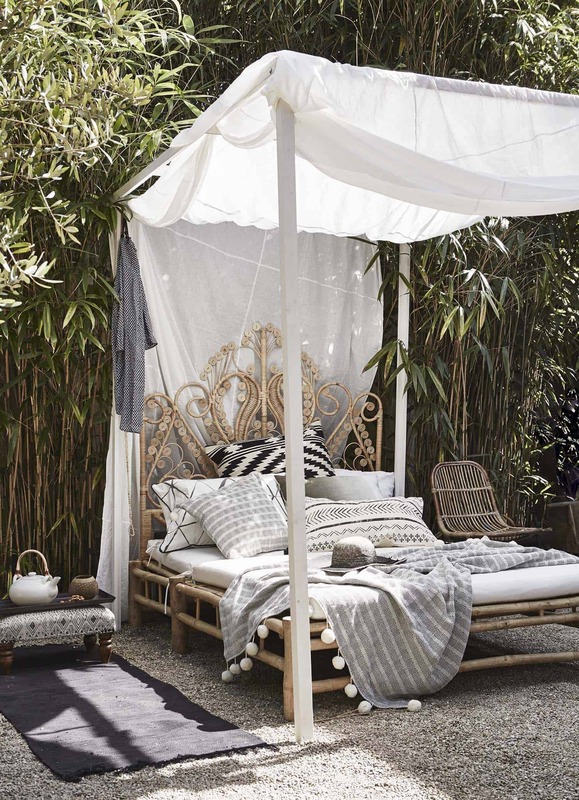 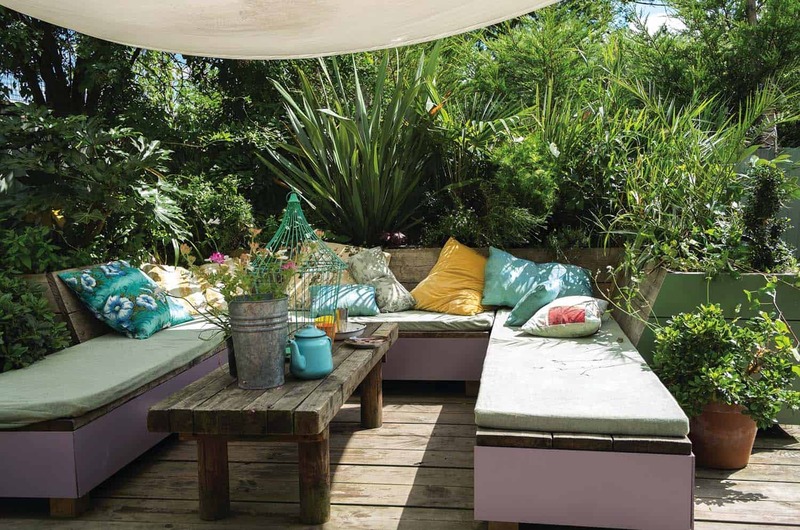 We have put together a fabulous collection of Bohemian garden ideas that will help you to create your own stylish outdoor space. 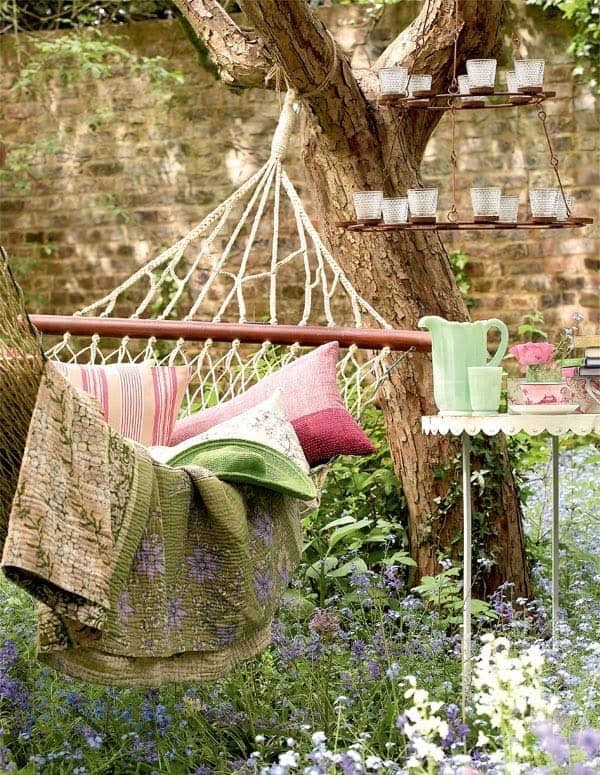 Enjoy and please let us know which one inspired you the most! 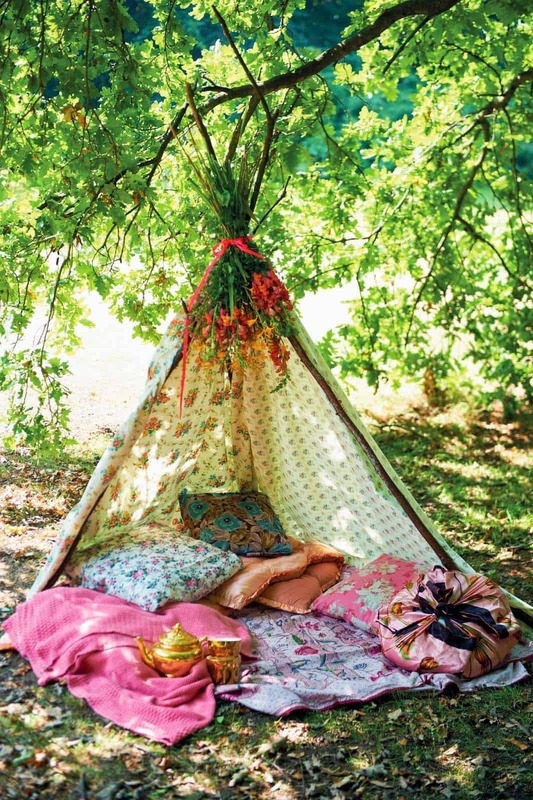 Love Bohemian style? 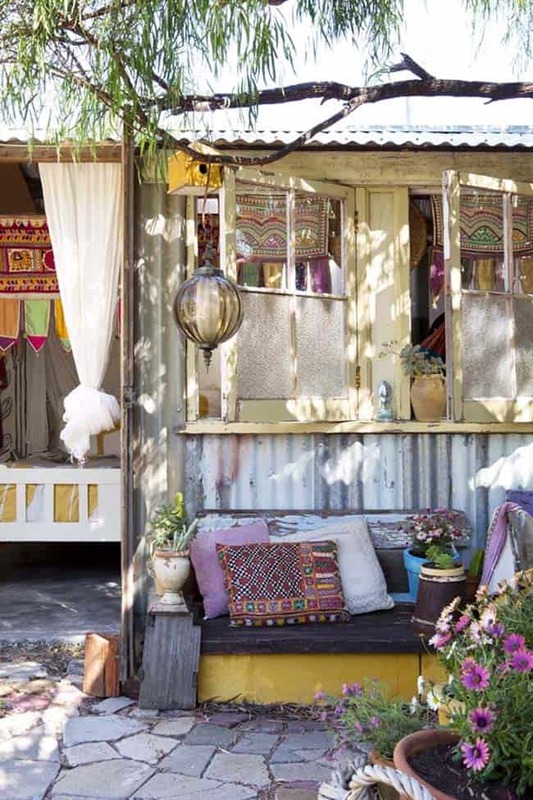 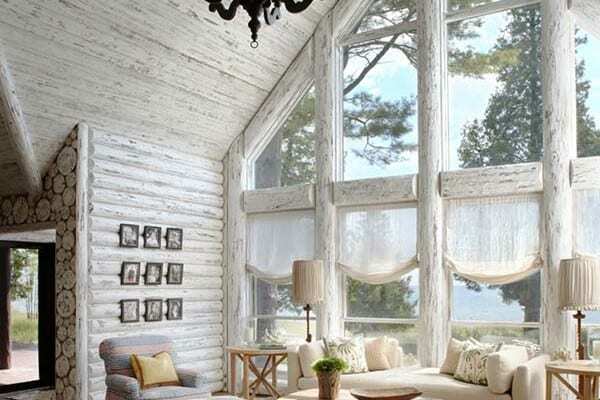 Check out some other inspiration articles we have featured: 46 Bohemian chic living rooms for inspired living and 43 Bohemian-chic interiors to rock your senses.